FAIRFIELD — Ask George Clinton how he’s kept his sanity for more than five decades in the music business and he’ll tell you crazy is a prerequisite in the field. “I’ve been crazy all my life,” Clinton said in a phone interview. 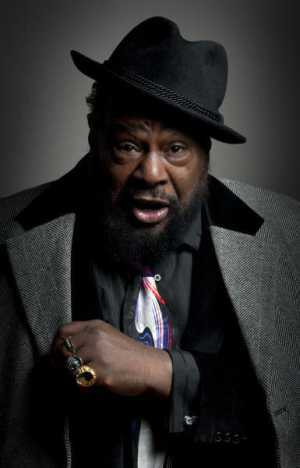 The singer, songwriter, bandleader, music producer and principal architect for P-Funk is stopping in Napa with Parliament Funkadelic for a gig at the Uptown Theatre. Those who have been to a show know what to expect. Those who haven’t seen Clinton live can expect a “three-ring circus,” he said. “It’s fun. It’s crazy. It’s lots of fun,” Clinton said. The North Carolina native headed up Parliament and Funkadelic in the 1970s, blending elements from Jimi Hendrix, Sly and the Family Stone, Cream and James Brown, to name a few. Clinton went solo in 1982. Three years later he produced the Red Hot Chili Peppers’ “Freaky Styley,” including writing the lyrics and vocals for the title track. He spent about half of the 1980s embroiled in legal difficulties, dating back to the 1970s recordings using 40 musicians for four labels and using three names. “I was fighting for my rights, my family,” Clinton said of that time in his life. Writing the book brought back many memories, he said. It also helped that Clinton had kept track of things that were funny or unusual. The book came out a year ago. It provided him even more motivation to write new music, he said. Last November he released “First Ya Gotta Shake the Gate,” which has 32 tunes. He paired up with Kendrick Lamar for a track on Lamar’s latest recording released in March. Clinton said the definition of funk is fluid. He’s an artist who embraces change. Musicians who struggle with change do so because they “fight so hard to get it right, the way they know how,” he said. Sometimes, getting it right means changing it, Clinton added. Sam Cooke, The Beatles, Jimi Hendrix and Sly Stone are other influences.